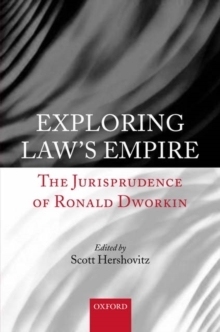 Exploring Law's Empire is a collection of essays by leading legal theorists and philosophers who have been invited to develop, defend, or critique Ronald Dworkin's controversial and exciting jurisprudence. The volume explores Dworkin's critique of legal positivism, his theory of law as integrity, and his writings on constitutional jurisprudence. Each essay is a cutting-edge contribution to its field of inquiry, the highlights of which include an introduction byJustice Stephen Breyer of the United States Supreme Court, and a concluding essay by Dworkin himself. This final chapter responds to the preceding essays and lays out Dworkin's own vision for the future of jurisprdence over the coming years.